Observe if the client holds unnecessary or undesired tension in certain areas or at specific points in the exercise. Are they gripping or fixing and therefore restricting movement? Or are they using an area incorrectly for stability, for example the neck and shoulders, to compensate for not controlling the movement elsewhere? You may notice a brittleness or fragility at certain times in the exercise, a place where they fear to move. Try to soften or release these areas during the movement. Focus on using breath to help the client to “let go”. The words and cues we use here are really vital to encouraging fluidity and equality of movement. Sometimes we can fixate on a certain area that appears to be not doing as it should. Step back and allow yourself to look at the whole body. Think of the body as an integrated whole and see if the root of the movement pattern is actually somewhere else (it often is!!) For example, in shoulder bridge if the knees are flaring outwards, look to the feet- are they keeping even pressure through the foot tripod? Or the other end, the hip joint- is there outwards spiralling of the top of the thigh bone? Remember perfection does not really exist! 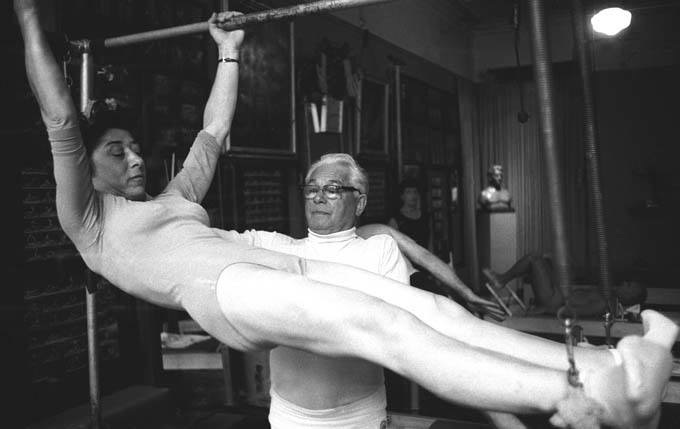 We can strive to get close but actually is the perfect execution of a Roll Up the reason your client comes to Pilates? Is it more for the joy of movement, the sense of health and well being, feeling strong and supple? So although we try to align, stabilise and move to our best ability, do not let too much correction stifle the enjoyment of the movements. Also consider how much dedication the client has to moving better, is it the same as yours? Do they take the Pilates ethos outside of their session? Do they do the homework you give them? If they just do an hour a week of Pilates how much progression is realistic? Involve the client in their correction and movement. Ask them questions, do you feel the difference here? How does this feel? If we try this does it help and so on. Help the client to see the session as a work in progress where they actively participate and take responsibility of their movement. Find ways of allowing yourself time and space to process the movement questions you have. Do not worry if you can not “fix” something straight away. Just make a note and then allow yourself the time until the next session to consider and analyse how you could address the pattern. Think about ways to overcome the restrictions you see and then try them out. Never worry if something does not work, just try something else like a different cue or prop. Or just contact me and we can discuss what you are seeing and strategies to help! Posted on October 22, 2017 by joanne cobbe and tagged Pilates Exercises Pilates Instructor Training Correction.